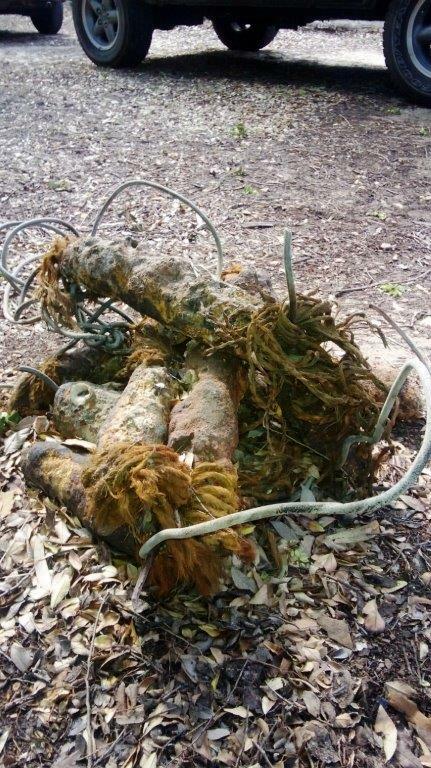 More About the Normanville Communication Cable | Marine Life Society of South Australia Inc.
Further to my article “The 1875 Communication Cable from Normanville to Kangaroo Island”, whether the cable was installed in during the 1860s or the 1870s, has been a niggling doubt for the author. The few historical records I’d come across seemed to vary a bit as to key dates with regards to the draft project’s definitive government funding approval date, works commencement and completion dates, and even the official opening ceremony date. Several years ago, I read an old newspaper article, reprinted in one of several books on the history of the Yankalilla region, most of which are still readily available, which said the project was completed before 1870, and as I had no reason to doubt that, it stuck in my mind. But our President, Steve Reynolds, when helping me prepare the recent MLSSA post about this cable, did a web search, so I am left with no doubt that it only started operating in the 1870s. In order for it to safely traverse the littoral zone from upper beach to some considerable distance out into Yankalilla Bay, it was buried in a trench. The trench began somewhere well above the storm tide mark, perhaps in the upper beach’s fore-dune, and crossed the intertidal part of the beach into the sea. The technical aspects are not my forte, but I gather the cable needed to remain buried for a mile or so out to sea to minimize the risk of damage directly from storms and indirectly from ships (using the nearby Normanville Jetty, which was already enjoying regular visitation by ketches transporting produce to Adelaide) dragging anchor during storms. Another consideration would have been the concern that the cable may not be strong enough to cope with straddling the bits of low to medium relief rock reef that are scattered throughout this mainly seagrass dominated part of the bay. I believe one of the reasons for this site choice (apart from the obvious need for the shore point to be as close as possible to the main local government communications HQ, which was in the main street of Normanville town) was that the inshore area was mainly seagrass meadows, with a lesser proportion of rock reef than some nearby starting point options. But I also gather that some criticism later arose about adequacy of the preliminary benthic mapping, a crucial factor in determining best site for land to sea transit section for the cable. I’ve also heard that the people doing the job were under a bit of pressure from early government, a.k.a colonial authorities, to start working on it ASAP, due to some unforeseen delays having already occurred in the process of getting the program to this point. But although the seagrass was certainly the dominant bottom type close to shore, some of it was on only thin layers of sand coating calcrete and other rocky bottom types, both as raised areas (we will call them bommies with seagrass on the top) and basal areas (your more typical seagrass meadows). I think it had been hoped that the simple dredging methods of the day, using a surface vessel, would be able to make an adequate trench, from the point beyond which manual labour at low tide could get no further out, to the point a mile or so out from there, after which cable burial became unnecessary. After reaching a safe depth and distance from shore, the cable could then be rolled off the stern of the installation vessel, across Gulf St Vincent to Kingscote and so, for most of its length, it rested on top of the relatively soft, flat seabed. But I believe that the substrate proved harder to trench than expected, so a fair quantity of gunpowder was used to break up the hard bottom and help create a trench, with something of a budget blowout as a consequence. Although the cable ceased operating a century ago, the channel has persisted. 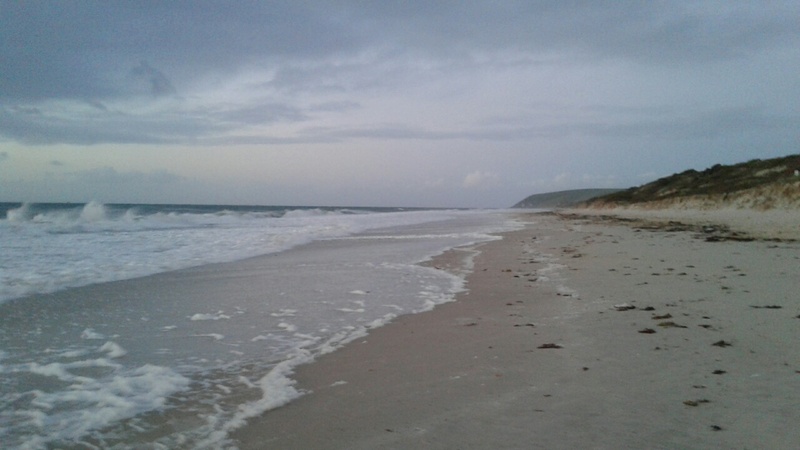 Starting in the shallow sub-tidal zone, there remains a well-defined and quite narrow, sandy bottomed channel which runs in a fairly straight line towards Kingscote. The channel generates a backwash effect, rather like a small rip, (readily apparent looking from shore or dunes track, except on very calm days), as a result of bigger swells reaching the beach. This in turn has caused a more or less permanent (perennial) depression in the lower beach at this point, with the total amount of beach sand always less here right the way to the base of the fore-dune. No surprises in all this but I find it interesting for several reasons. First off, it shows how even quite small alterations by humans to the coastline in a moderate energy bay can persist for a long time. Secondly, I still have not properly explored (with a buddy or two) the full length of the inshore trench on scuba; despite my diving friends hearing about my plans to do so rather often in the past few years! The waves are usually bigger and display different patterns at the point on Normanville North Beach where the old cable ran (P.S. I have other better photos showing the bigger waves and the sand loss more clearly). A piece of the old submarine cable? 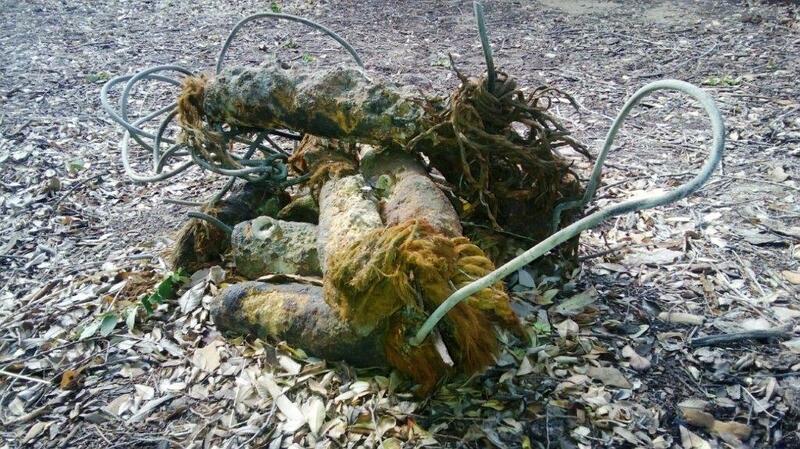 Work has now started on a new underwater electricity cable from the mainland to Kangaroo Island. It is a $39m project to replace the existing 15km-long 10 MVA cable. The new 600-tonne, 20 MVA cable is being installed across Backstairs Passage, from Fishery Beach to Cuttlefish Bay. It should be completed by mid-2018. A support vessel called REM Etive is working on the laying of the cable in Backstairs Passage. Work in the area may restrict diving in the vicinity. A portion of the car park at Fishery Beach has been fenced off for public safety. An interesting read, David. I knew nothing of this project prior to your writing about it. Thanks.